Taittinger produces this 2012 Taittinger Brut Millésimé ($65.17), a sparkling wine from Champagne that is made of pinot noir and chardonnay of 2012 and has an alcoholic strength of 12.5%. 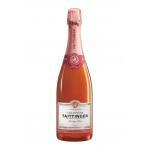 Uvinum users rate this sparkling wine with 4 out of 5 points while experts give the following rate: robert parker: 92. - View: 2006 Taittinger Brut Vintage Millesime is a pale yellow to bright again. The effervescence is clear with plenty of bubbles rising fed a line of foam present. Deep colour, characteristic of Taittinger Brut Vintage. Good yeast aromas enhance a wine's bouquet. Very light. 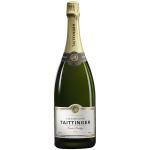 - View: Taittinger Brut Vintage 2004 has a golden straw yellow to bright reflections. The bubbles, especially thin, elegant form a foam cord. - View: 2004 Taittinger Vintage is bright golden color with a greenish hue. 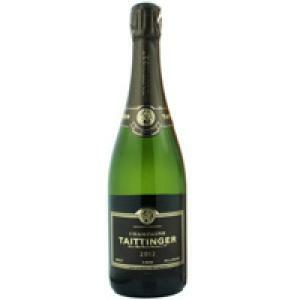 My friends liked the Taittinger Brut Millesime Taittinger. I was impressed by its colour. Its aromas reminded me of yeast. I noticed a smoky flavour. 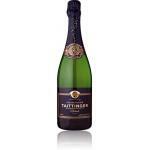 If you want to buy 2012 Taittinger Brut Millésimé, at Uvinum you will find the best prices for Champagne. Buy it at Uvinum, wherever you are via all your devices. We have more than 59.000 products for sale in our catalog which turns us into the leading marketplace in selling wine, beer, and spirits in Europe thanks to more than 38.000 customers who trust us.